Last week as per usual I asked my boyfriend whether he had any special food requests for the weekend. The answer was “lasagna”. I already got the same answer two weeks ago, and three weeks ago too. I knew I had it coming but I was trying to push this moment away. 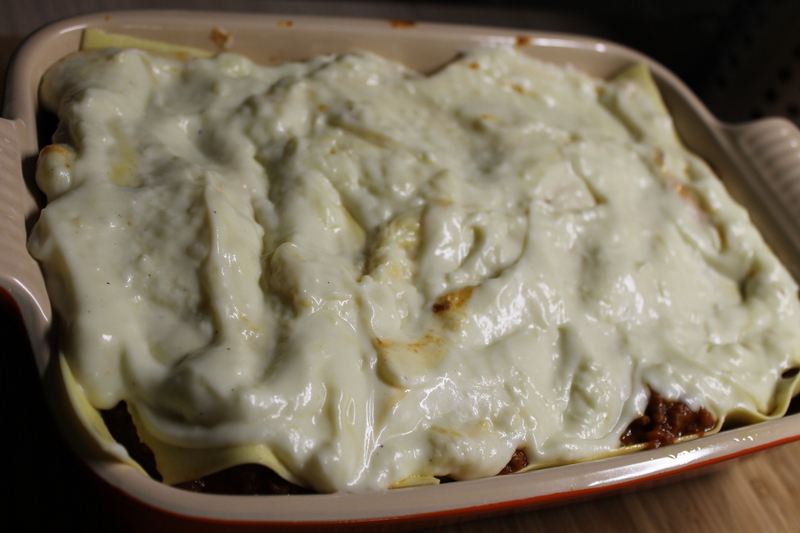 Those of you who have never made lasagna might wonder why. Those ones who went through this experience somehow can understand why I tried to resist. 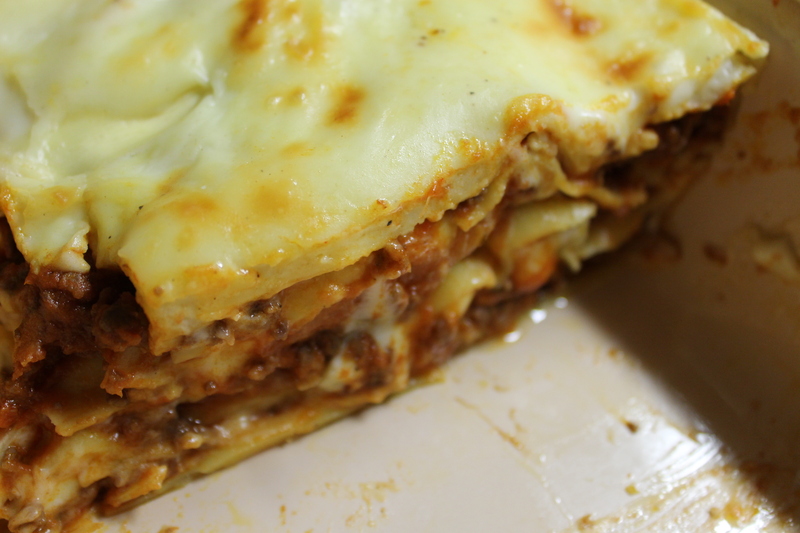 Lasagna is probably one of the heaviest and very time consuming Italian dishes ever. I had an opportunity to try it in Italy- in restaurants and home made. To be honest I was unlucky in both cases. I know it doesn’t sound very modest but I really like the way I make it, and even my boyfriend told me once that it’s much better than the one his mom makes… oh my… I think when your man says that kind of thing you should treasure this moment and take it as a huge compliment. For this recipe you need time. I’m not going to lie to you that it’s an easy one, and that I’m sure the final result is going to be fantastic and bla bla bla. No. I have to be honest about this particular dish. It’s time consuming and you need to be patient. 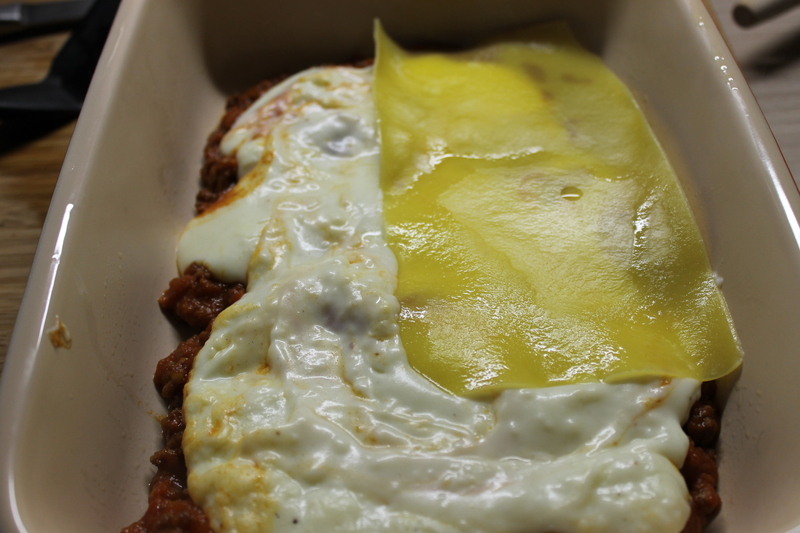 What I can promise you though is, that after a while you will be proud of yourself and whoever will be eating your lasagna, this person, or preferably even a bigger group of people, is going to be over the moon. It will be a perfect dinner – don’t forget about a good glass of red wine and nice bread. If you got to this section I guess you made up your mind and you are ready for it! 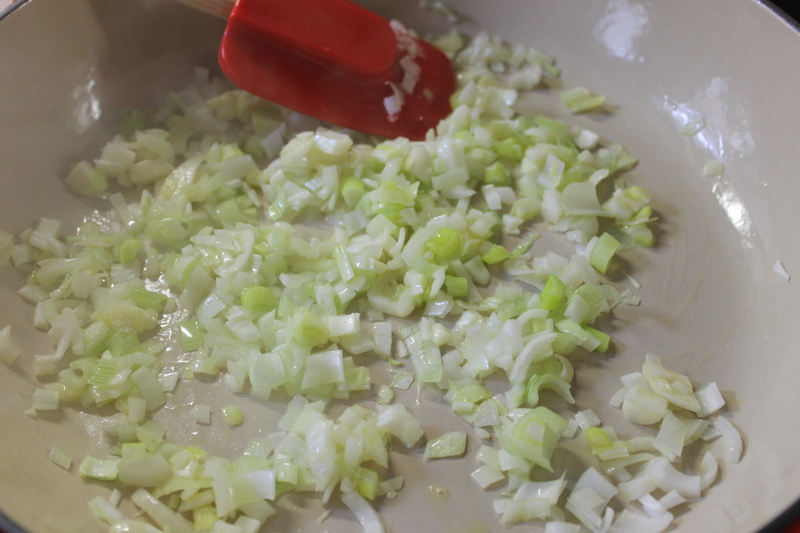 Remember that you need to reduce the sauce, and it means you need to cook it very slowly- around 2.5 hours or so. I know it sounds painful, however the good thing about it is that you can do other things in the meantime. So don’t panic, it won’t take up all your time. 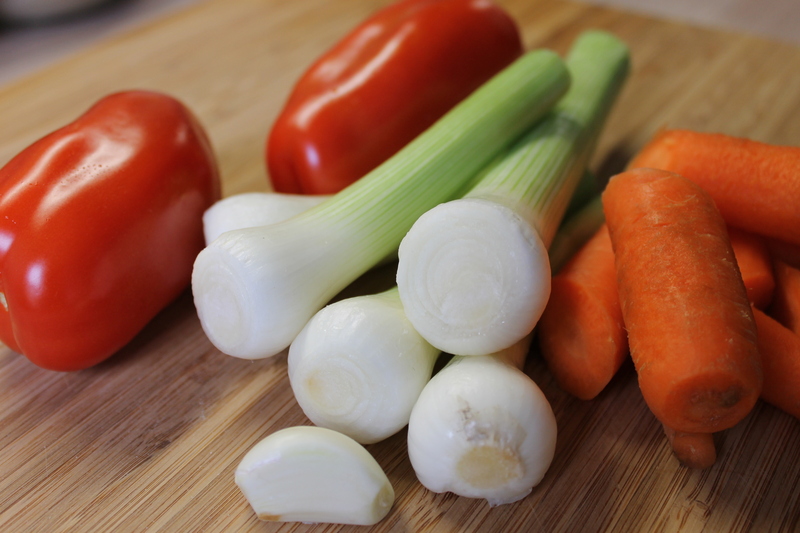 Here is what you need: tomatoes, onions, carrots and garlic. Slice everything in advance. First come the onions. Fry them for a few minutes on some olive oil as per the picture below. 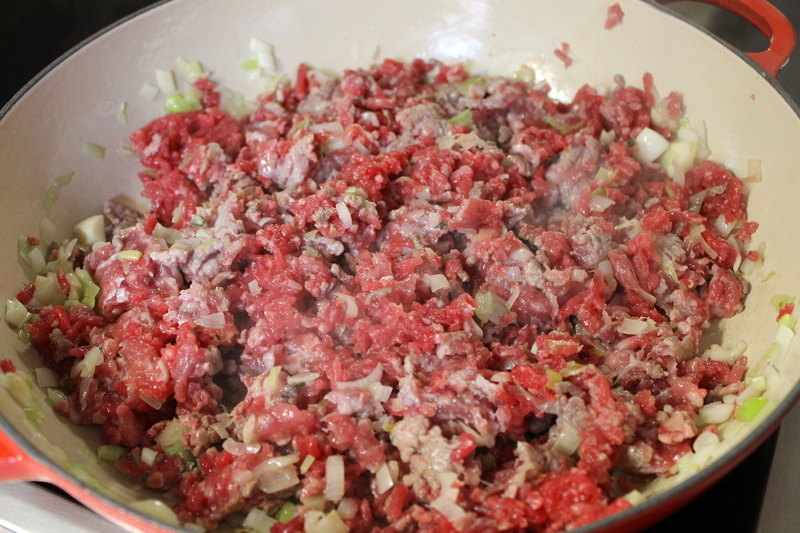 When you can see that the onions start getting a golden color it’s time to add the mince meat and some spices. 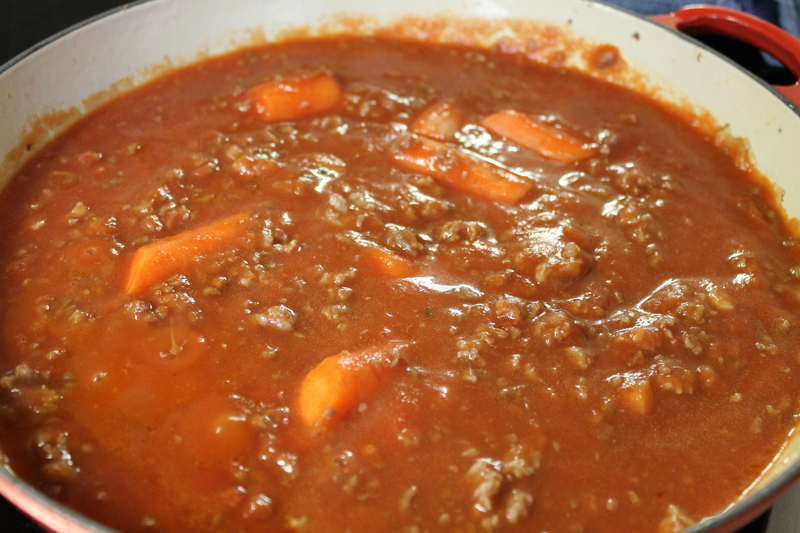 After around 25-30 min you have to add the tomato sauce and the carrots, and some red wine. And just let it simmer for another 2-2.5 hours…till you see this…don’t forget to pour some more wine during these 2.5 hours! 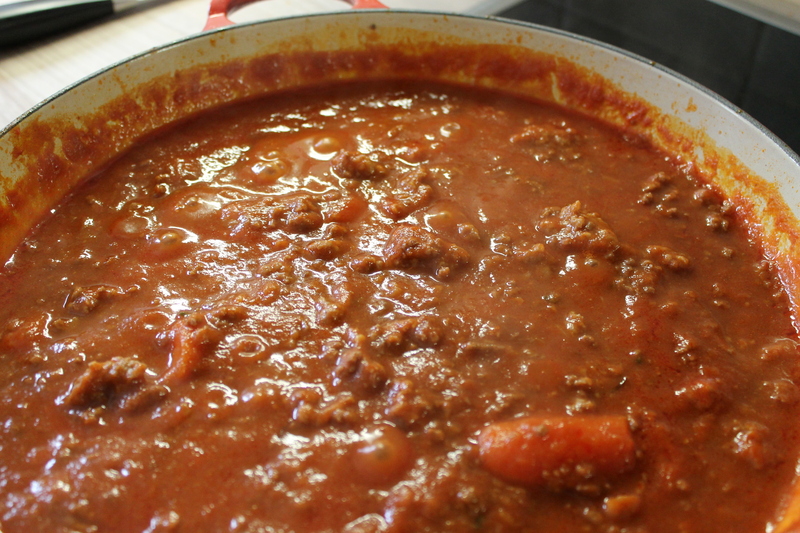 After all this time the sauce should be thick and you should look like the picture above – almost half of the liquid is gone. 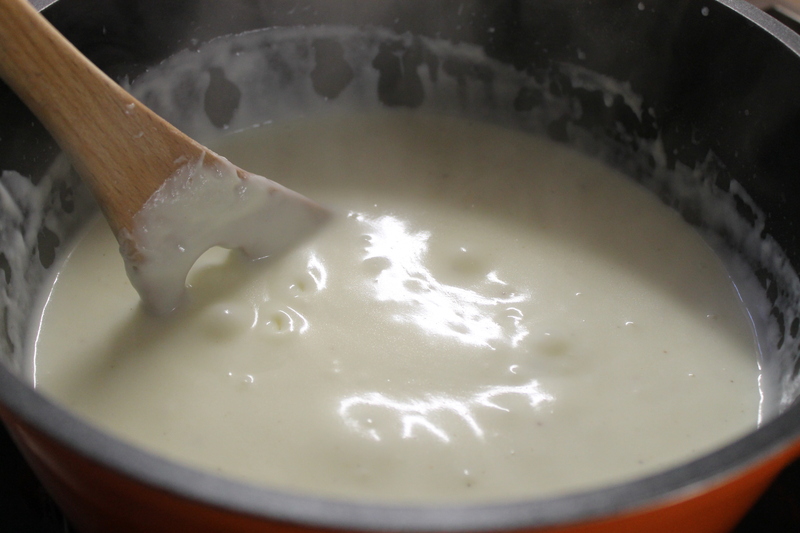 When the sauce is ready we can prepare the bechamel sauce. 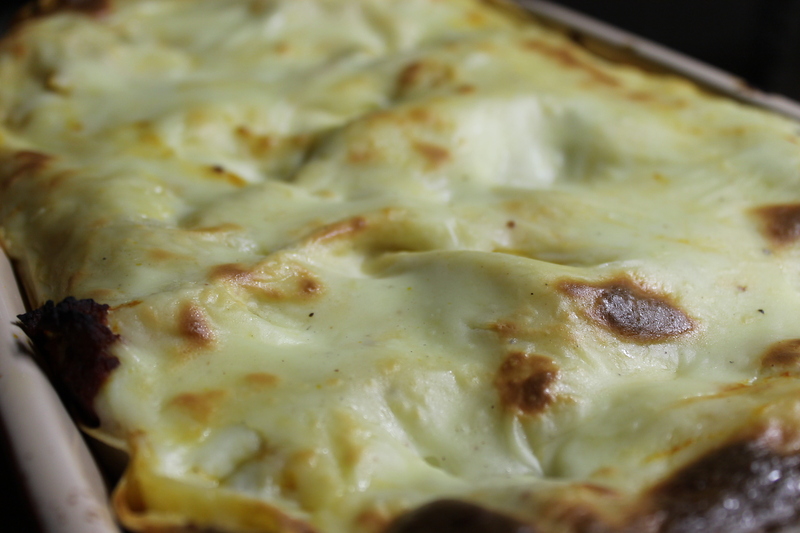 I should probably write a separate post dedicated only to a bechamel sauce, since I use it for different dishes- cannelloni, vegetarian lasagna and many others. It’s not an easy one to make but I think this comes with practice, like with anything else. If it’s your first time just try to do your best. 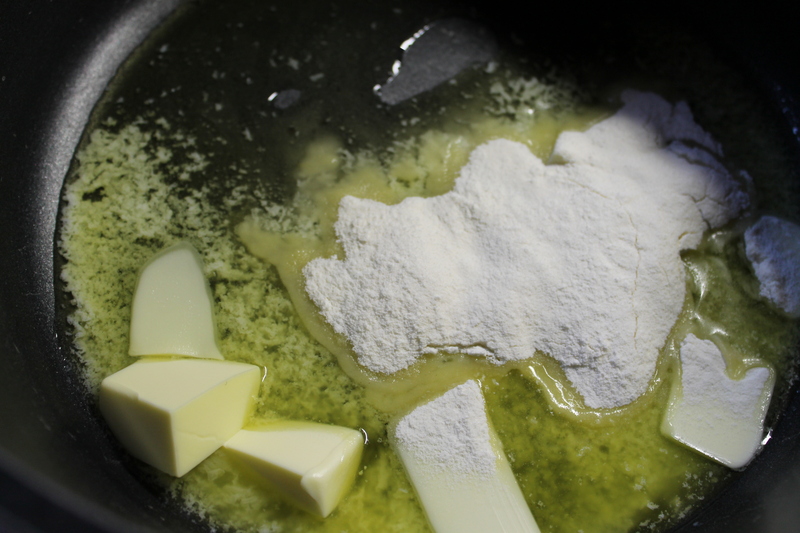 I can tell you that I usually preheat the pot a little bit, and then let the butter melt before I add the flour – you can see this on the picture. 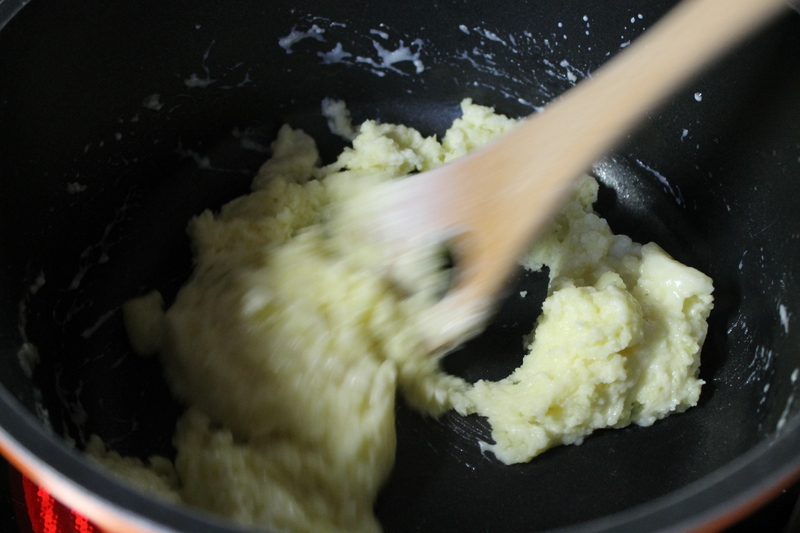 Start stirring everything and add some milk, like below. 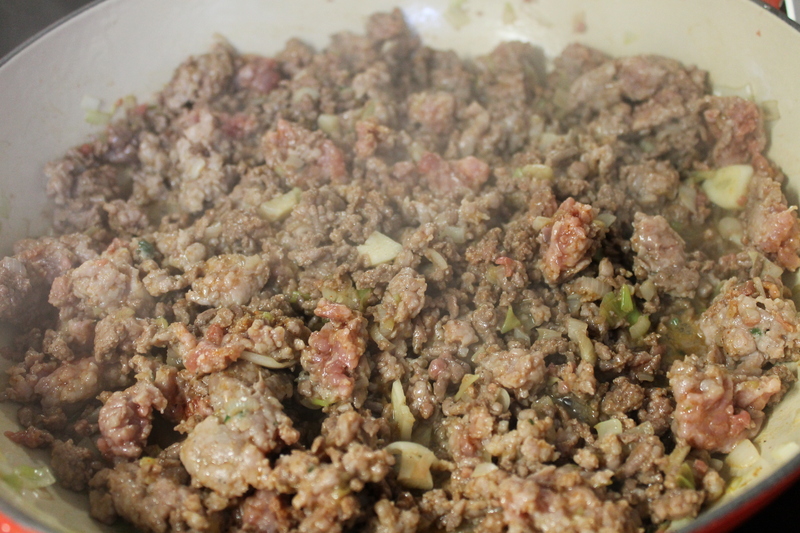 At stage 2 you can add salt, black pepper and some nutmeg. 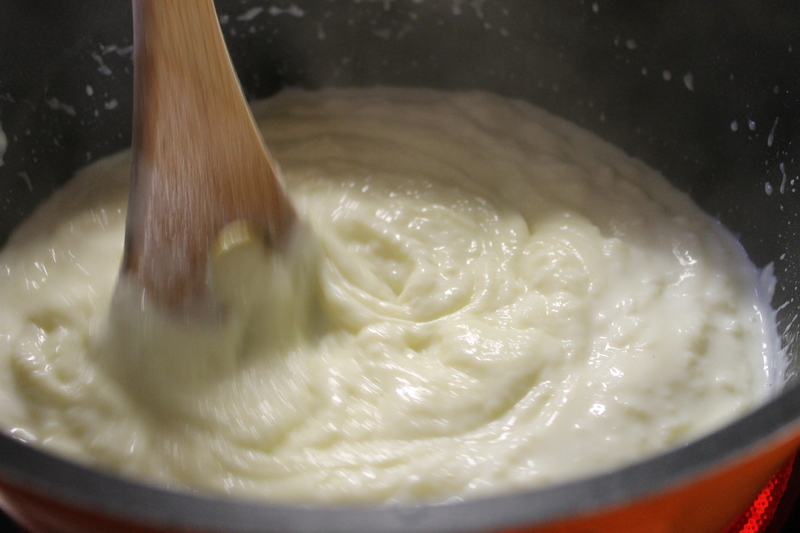 Remember that you need to stir the bechamel as fast as you can, so its consistency would be smooth and creamy. 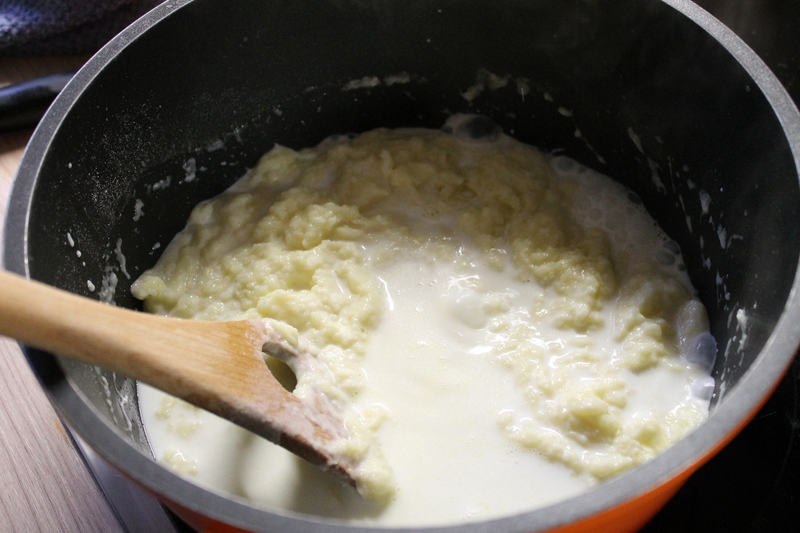 Keep pouring the milk, but slowly, and wait till it’s almost absorbed, then add some more and so on, till your sauce reminds something like the one below, or even looks better than that! Once the sauce is ready leave it to cool for a few minutes. 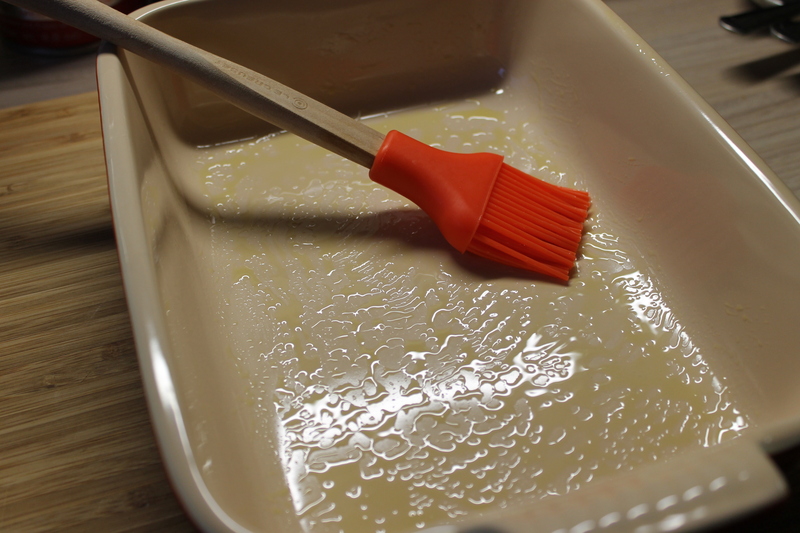 The very last stage is the pasta, which you need to prepare before you place it into the baking dish. I know that what you can usually see is the guarantee from the pasta producer that it’s enough to pour some tomato sauce and bechamel on the pasta and it will get soft in the oven. Well it’s not. 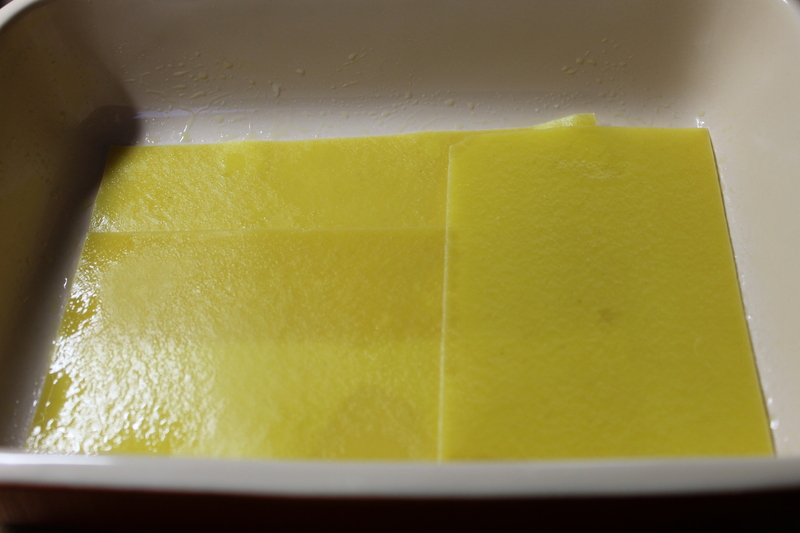 Whether you like it or not, you will have to pre-cook it- it takes one minute or two, but it needs to be done. It’s easy and fast. Look below, remember you repeat this with each piece of pasta. 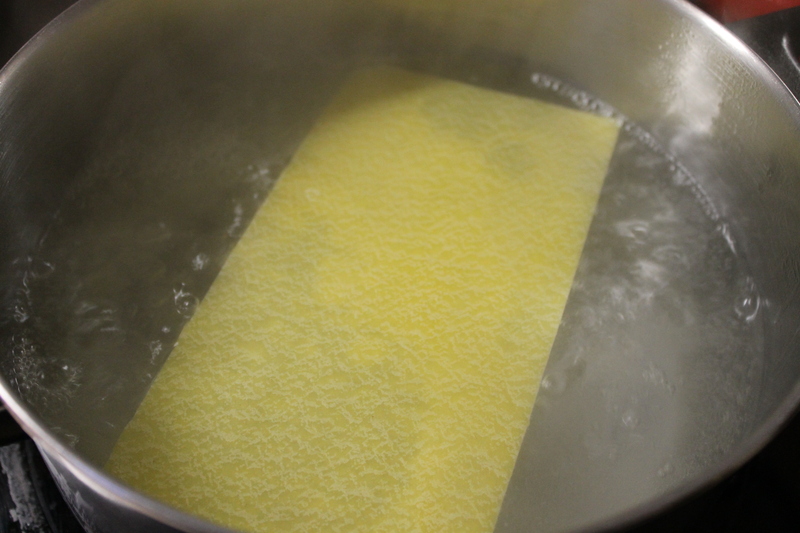 You don’t have to do this if you use fresh pasta or you made it yourself. Place the lasagna in the oven for 45 minutes. Enjoy it with good bread and good friends! my daughters would inhale this lasagna in no time at all! Looks great.